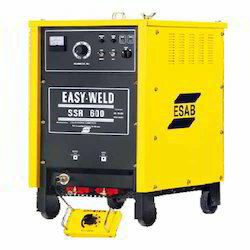 Leading Manufacturer of welding machine and arc welding machine from New Delhi. For our profound customers, we have introduced Welding Machine, manufactured using qualitative components. These machines are designed and developed at our workplace following industry laid parameters and thus, are capable of offering efficient performance in nuclear power plants, chemical process plants, offshore work, steel plants, thermal power plants, mining and structural fabrications. We make deliveries of these products in a hassle-free way. To meet the diversified requirements of welding activities, we have introduced Arc Welding Machine under our product gamut. 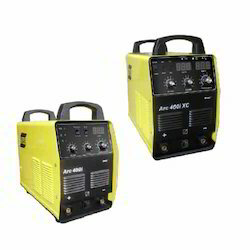 Our offered range has gained huge popularity in the market as we have introduced these machines with an advanced working mechanism and come under the category of heavy duty, fan cooled and IGBT based inverter controlled power sources, apt for MMA/TIG welding. Capable of offering flawless performance and easy to operate, these machines can be purchased at reasonable rates.